Aquilegia caerulea flower petals are white, the nectaries vary from white to pink to blue and even yellow. It is the blue that gives the caerulea species name its meaning. Aquilegia coerulea is the proper spelling but the gardening trade is generally using Aquilegia caerulea so we will too. The Rocky Mountain Columbine grows to 1-2 feet tall. There are often multiple flowers on a stalk. Aquilegia caerulea grows in full sun to light shade. The Rocky Mountain Columbine grows at elevations of 6,000-10,000 feet. 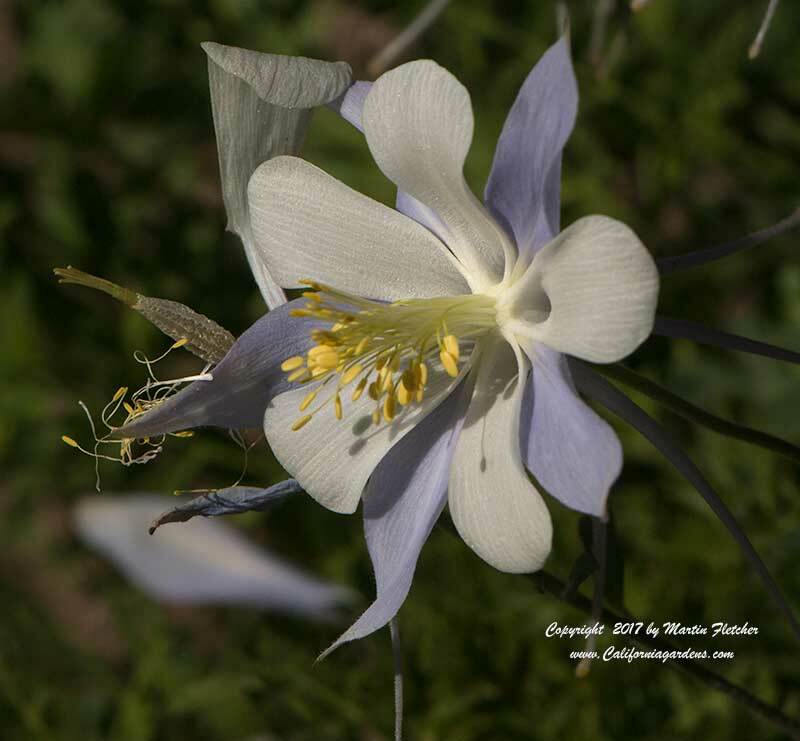 Aquilegia caerulea blooms from Spring into Summer depending on elevation. Aquilegia caerulea prefers moist but not soggy well drained soil. The long clawlike nectaries can only be reached by Hawkmoths. Hummingbirds, bees and syrphid flies will all pollinate. Aquilegia caaerulea is the Colorado State Flower. California gardeners will be hard pressed to find chill conditions that will be any bother to the Rocky Mountain Columbine. 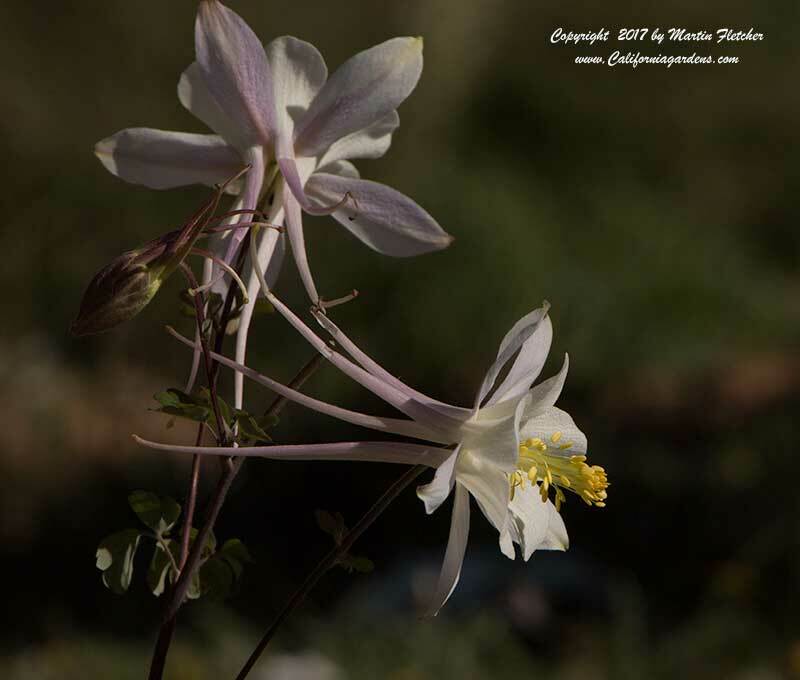 The white flowers of Aquilegia caerulea the Rocky Mountain Columbine. High resolution photos are part of our garden image collection.